I just finished quilting this cute nine patch quilt that I made several years ago. The fabrics are a collection called Pam Kitty Morning. 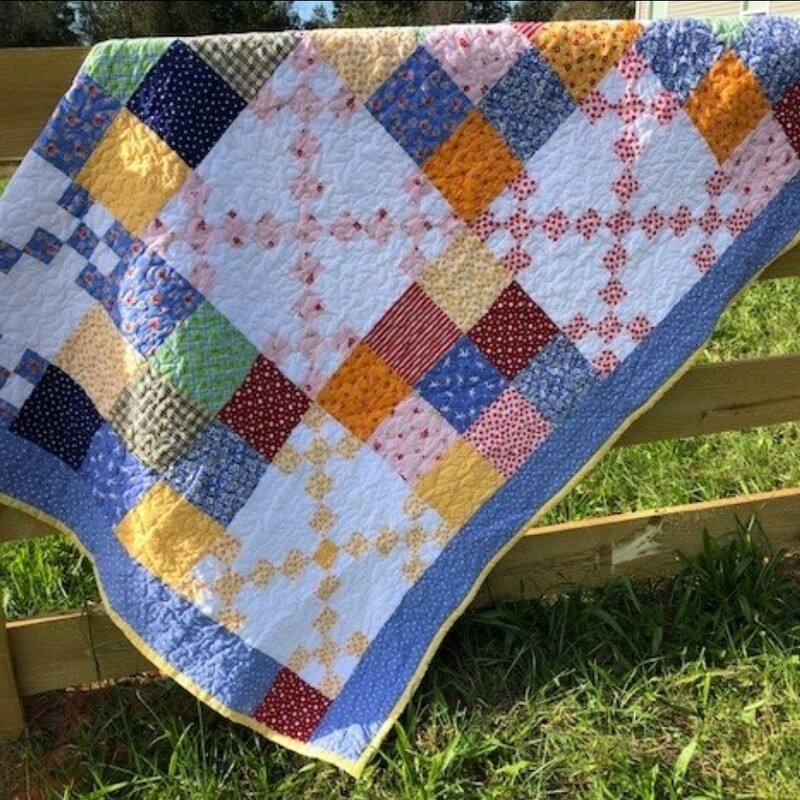 I love making simple quilts with happy colors.